“After conducting a national search to find an Artistic Director who fits ArtsWest’s mission and provides a strong artistic vision that will lead us into our future, the ArtsWest Board of Directors couldn’t be happier to welcome Mat to our organization. He brings such energy and talent to ArtsWest and we cannot wait to see him in action as our artistic leader,” stated Dawn Leverett, Board President. Mathew Wright is familiar to ArtsWest’s audiences as both the Director of Little Women and the Music Director of HAIR, two of the most loved and successful shows of the 2013-2014 season. In addition to working as a freelance director at ArtsWest and other theatres in town, Mathew has been part of The 5th Avenue Theatre community since moving to Seattle in 2011. “Mat has been a tremendous asset to The 5th Avenue Theatre as part of our Education Department and as a member of the creative team for a number of memorable productions. We will be sorry to lose him, but are thrilled to see him move into this exciting new role,” shared The 5th Avenue Theatre’s Executive Producer and Artistic Director David Armstrong. Hailing from Newton, New Jersey, Mathew’s extensive education includes a BA in Theater and French with a minor in Linguistics from Rutgers University and an MFA in Directing from Temple University in Philadelphia. With a broad resume of directing and music directing credits spanning a vast range of material, from straight plays with basement budgets to large scale musical theater, Mathew brings to ArtsWest the best of both the theory and practical craftsmanship involved in creating compelling theatre. Before leaving the East Coast, he worked extensively at theatres throughout New Jersey and most notably Philadelphia, where he won the 2007 Barrymore Award for Music Direction of Mum Puppettheatre’s The Fantasticks, and was nominated for two Barrymore Awards for his work on EgoPo’s Marat/Sade for both Outstanding Music Direction and Best Original Score. 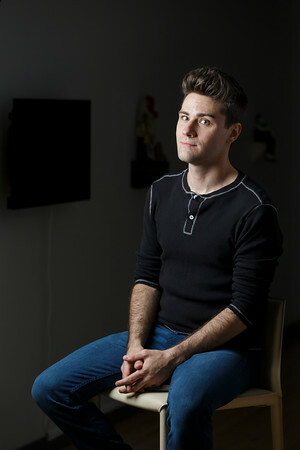 Since relocating to the West Coast, Mathew has invested himself deeply in the Seattle theatre community, working with Seattle Repertory Theatre, Balagan Theatre, ArtsWest, and ACT, where he directed Rosenstock Productions’ Wisemen in 2012. At The 5th Avenue Theatre, where he currently works full time as Education Programs Coordinator, he has directed the past three iterations of The Rising Star Project, a ground-breaking theater experience that allows high school students to engage in all aspects of professional theatrical production, which he will continue next year with The Rising Star Project: CAROUSEL. In addition, he has directed the 5th Avenue’s Adventure Musical Theater Touring Company for three years, and served as associate director of Oliver!, Pirates of Penzance, The Music Man, Titanic: The Concert, and Cinderella. This entry was posted on Tuesday, August 19th, 2014 at 11:02 am	and is filed under General. A hearty welcome to you Mathew with sincere best wishes for great success! I’m already your fan seeing the plans for the cabaret evening! Having produced, supported and performed in cabaret work I think this is a brilliant idea. Seattle needs more cabaret venues and performances! !